Over the years, I’ve been asked hundreds of times to recommend a preferred hosting provider for WordPress websites. In the past, I based my recommendations on a variety of factors, including price, ease of setup, load-times, and feedback I received from others in the industry. Often, I would point budget-conscious customers toward one of the big shared hosting providers. For more established companies, I’d opt for Media Temple’s DV offerings where nimbusthemes.com had been hosted for years. Unfortunately, during this last year I began running into some issues with my DV accounts at Media Temple. Some of these may have been caused by our code (and I’d be the first to admit that! ), but others were quite obviously the failings of the MT platform. Either way, I found myself endlessly calling or instant messaging with a support community that treated my issues as though they were a great inconvenience. It was one of the worst support experiences I can remember, and this from a company we had touted to our customer base and social community for many years. This was a disheartening and frustrating turn of events, I can assure you. 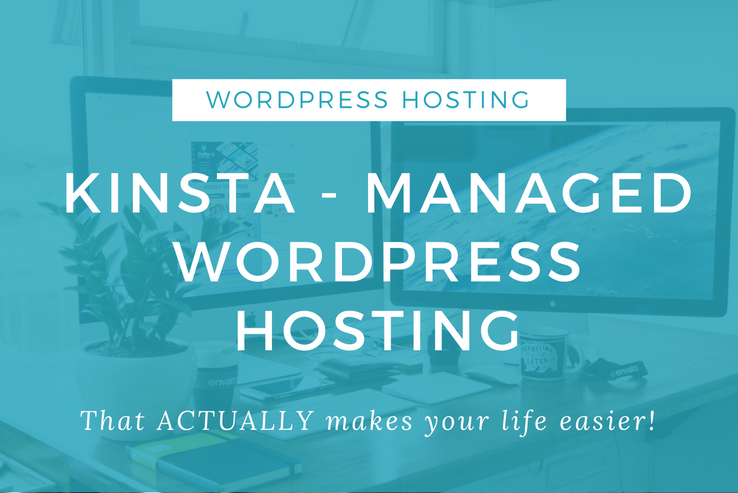 So, with the start of the new year, I took a plunge into managed WordPress hosting world and moved all our theme foundry websites over to Kinsta. It was the best business decision I have ever made. WordPress is one of the most popular content management systems out there. It’s not only easy to use, but is also incredibly flexible. This makes it an equally enticing choice for users who want a simple blogging solution and those who prefer to edit their content in HTML. Both the WYSIWYG editor and text editor in the WordPress back-end feature a toolbar that allows users to edit their content easily. The HTML text editor, however, displays a set of default quicktags that enables users to style their content without having to enclose the text in opening and closing tags by hand. 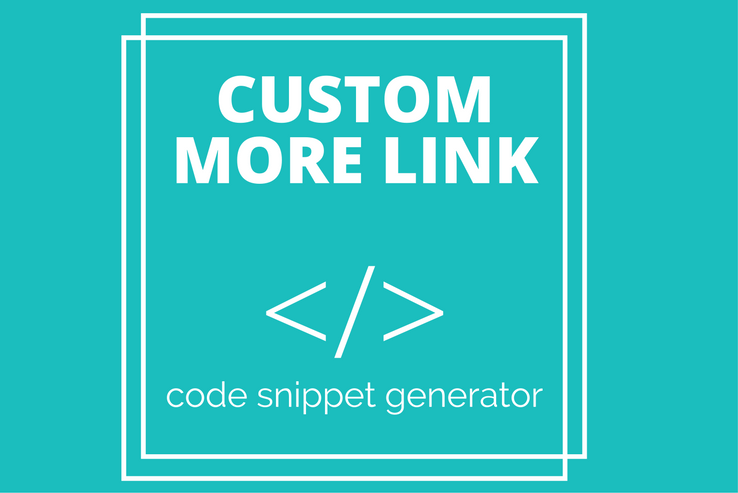 We’ve designed this code snippet generator tool to help WordPress developers add custom quicktags to their themes. We’ll start off by explaining what quicktags are in more detail and why you might need to use them. 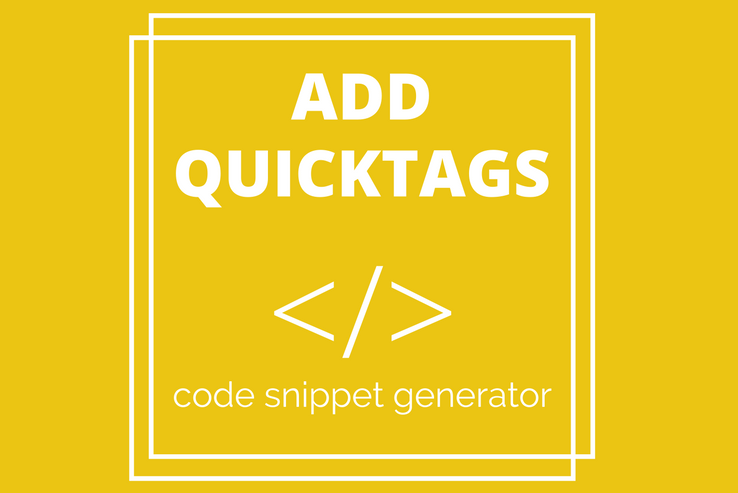 Once that’s done, we’ll explain how you can use this code snippet generator tool to add custom quicktags to your WordPress themes. WordPress offers some pretty neat administrative features right out of the box. One such bit of functionality is the user contact information block. This section is located in users profile and allows them to set a number of pre-defined user contact fields. Defining custom user contact fields in WordPress allows your site’s visitors to connect with other users and team members on more platforms. However, there are no built-in options to add custom user contact fields in the back-end. 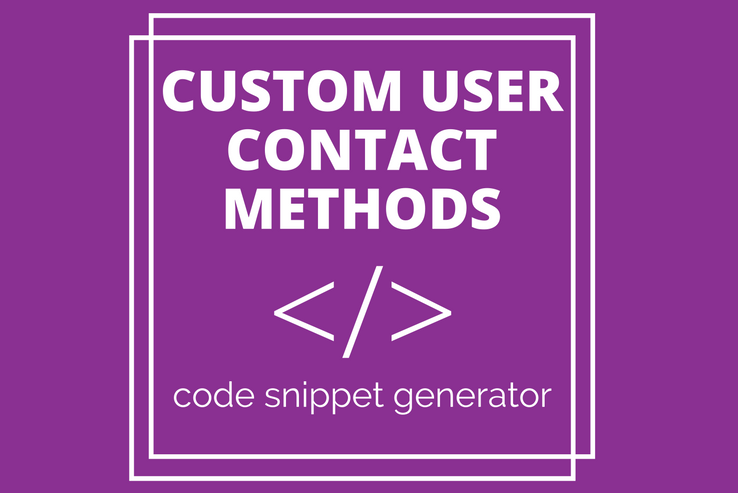 With this in mind, we’ve put together this custom user contact methods tool to help savvy WordPress developers create a friendlier back-end for clients. The WordPress dashboard is the first screen you see when you log into your site’s admin panel. And if you’re developing a site for a client who may not be particularly technically inclined then it’s important to make the dashboard’s interface as user-friendly as possible. Upon taking a closer look at the dashboard’s structure, it’s easy to see that the entire page is made up of a few different widgets. Each dashboard widget is responsible for presenting different information to the user at a quick glance. 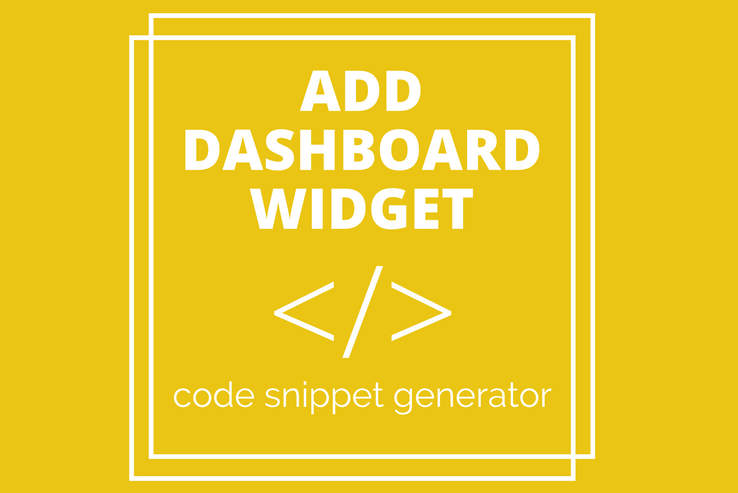 The code snippet tool we’ve put together helps WordPress developers and theme builders add custom dashboard widgets to their site’s admin panel to improve its visual appeal and increase user-friendliness. If you’re still not sure what a dashboard widget is or why you may need to use one then don’t worry. We’ll put everything into context first and then introduce the tool and explain how you can use it. WordPress themes generally follow an intuitive templating system that basically groups content into files based on their location and functionality on the website. For instance, all of the header’s content is neatly packed in a piece of code that is stored in the aptly named header.php file. Adding a number of well-designed, default headers to your WordPress themes has a significant impact on their visual appeal. However, integrating default headers correctly into WordPress can be tricky – especially if this is your first time with theme development. 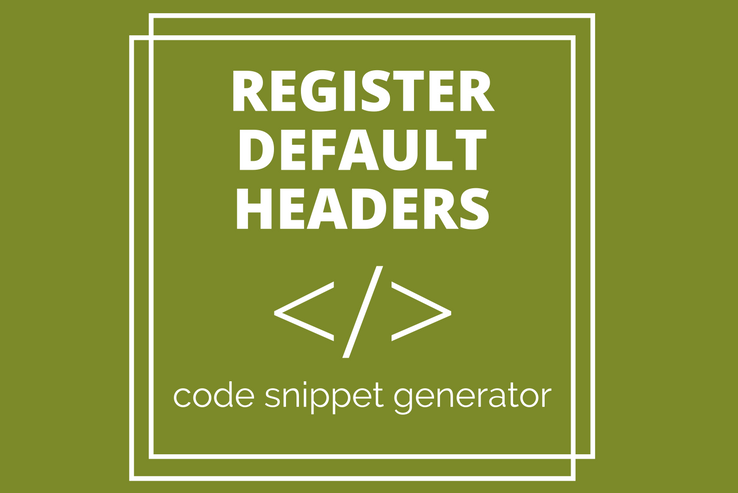 With this in mind, we’ve put together this code snippet generator that allows both established developers and beginners register default headers in their WordPress themes. The WP_Comment_Query class allows developers to query the WordPress database tables wp_comments and wp_commentmeta. In simple English, it allows the theme’s or plugin’s developer to retrieve post comments through a GUI. For this reason, we’ve put together this code snippet generator tool that allows developers and first-time theme authors to integrate comment querying functionality into their WordPress themes. 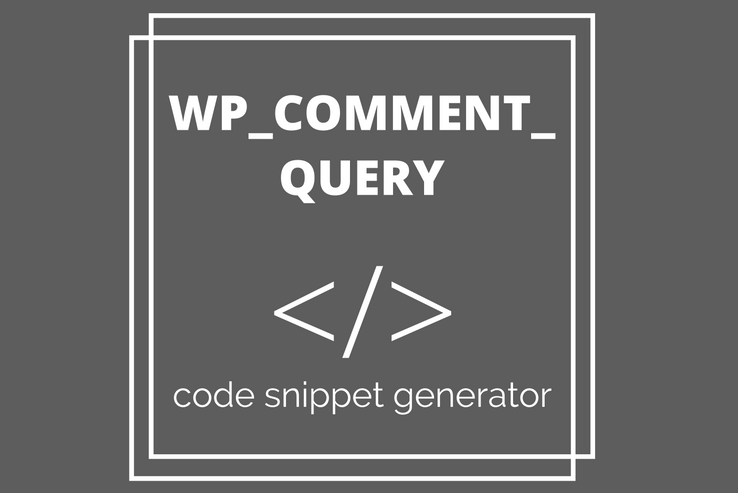 But before we begin, let’s take a closer look at what WP_Comment_Query is and how you can use it. The WP_User_Query class allows developers to query users and their metadata through the wp_users and the wp_usermeta WordPress tables. It functions almost exactly like the WP_Query class, but for users. 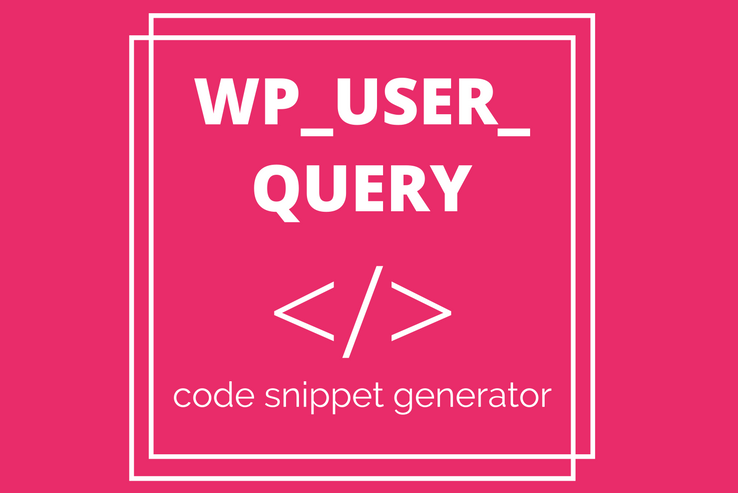 For instance, if you are running an online store or a membership site, then the WP_User_Query class makes it easy for you to search for a user without having to remember their usernames. With this in mind, we’ve put together this code snippet generator tool that allows both developers and first-time theme developers to integrate user searching functionality into their WordPress themes. 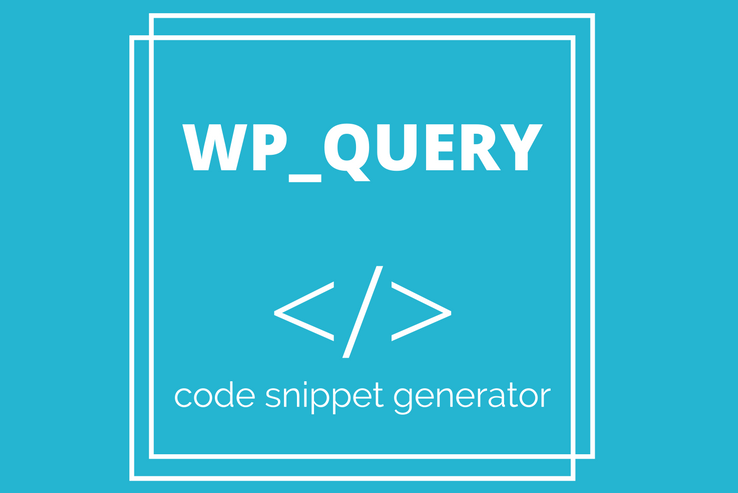 But before we begin, let’s take a closer look at what WP_User_Query is and what you can do with it. Lists are an integral part of your site’s content. Whether you want to display the services you offer or step-by-step instructions, lists make your content look visually appealing and easier to read. HTML allows developers to choose from one of two lists which are defined by the <ul> (for un-ordered lists) and <ol> (for ordered lists) tags. However, sometimes the default list styles just don’t cut it. For times when you need something more than the default disc bullet points or the 1. 2. 3. numbering, you can use CSS to take things up a notch. With this in mind, we’ve put together this code snippet generator tool that’s designed to help both developers and first-time theme developers experiment with and add different kinds of list styles to their WordPress themes. 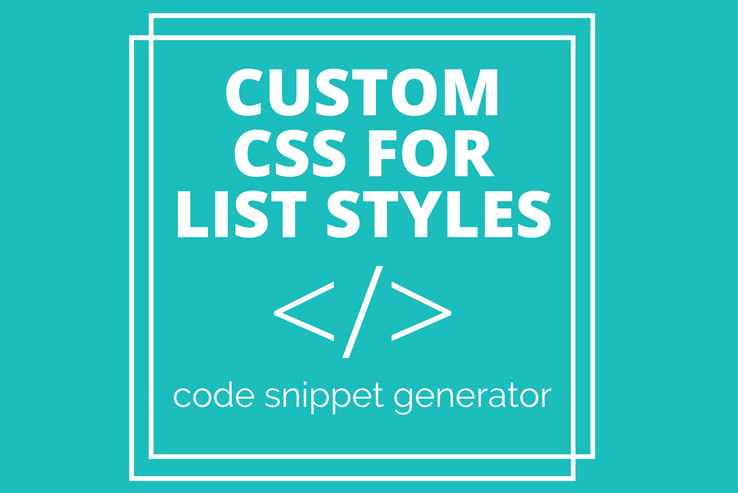 In this article, we’ll walk you through the process of identifying a CSS selector and show you how you can get started with this code snippet generator. Cursors can have a significant impact on your site’s user experience – when implemented correctly. In a simple line of code, cursors pack what may seem like an obvious bit of interaction design. The different GUI cursor pointers aid in UI interaction by indicating to the user what they can do with the page element they’re hovering over. For instance, when you see the white mouse cursor change to the i-beam cursor you know that the area you’re pointing at allows you to enter (or manipulate) text. Though some of the cursor styles – such as the white mouse, i-beam (text), and gloved hand cursor – are built-in to the user’s browser by default, CSS allows developers to redefine those properties to display a number of different cursors. This code snippet generator tool was designed to help you add different cursor styles to your WordPress themes. Read on to find out more about cursors and how to determine when to use which one. We’ll also show you how you can identify a CSS selector and get started with using this tool. One of the most basic web design elements are columns. They allow web designers to divide big blocks of content into digestible chunks and increase the layout’s visual appeal. Although it is possible to create custom columns for your WordPress theme’s posts and pages using tables, it’s far from ideal. A much better solution is to create columns using HTML and CSS. CSS (Cascading Style Sheets) is a markup language that controls how HTML elements appear on a web page. One of the core WordPress theme files, style.css, contains comprehensive stylistic instructions that tells your WordPress theme how to present the content you publish on your site. 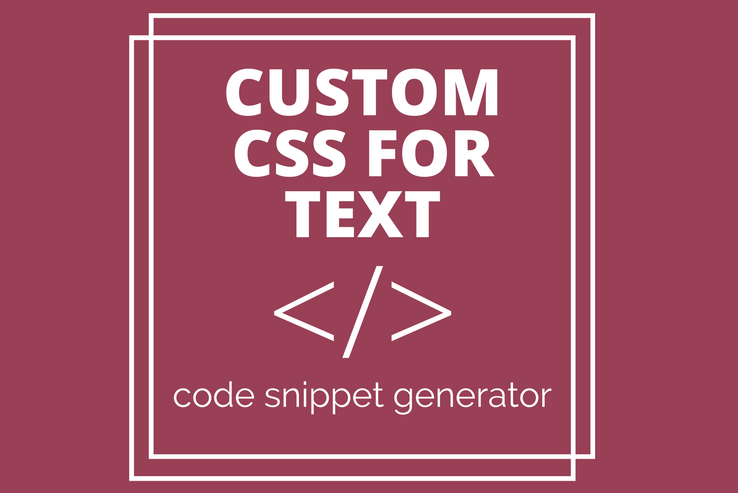 We’ve put together this code snippet generator tool to help developers speed up custom CSS styling for text elements. All you need to get started is the name of the selector you want to target. 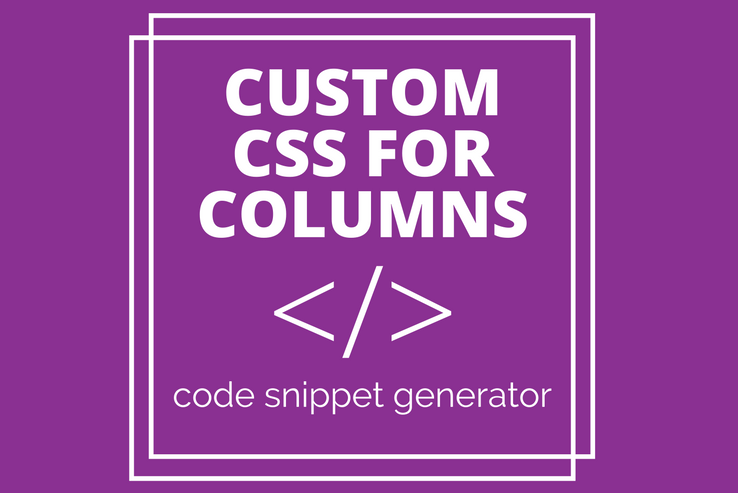 Read on to learn how to identify a CSS selector and how to use this snippet generator tool. Use this handy code snippet tool to create custom WordPress queries to display unique content. 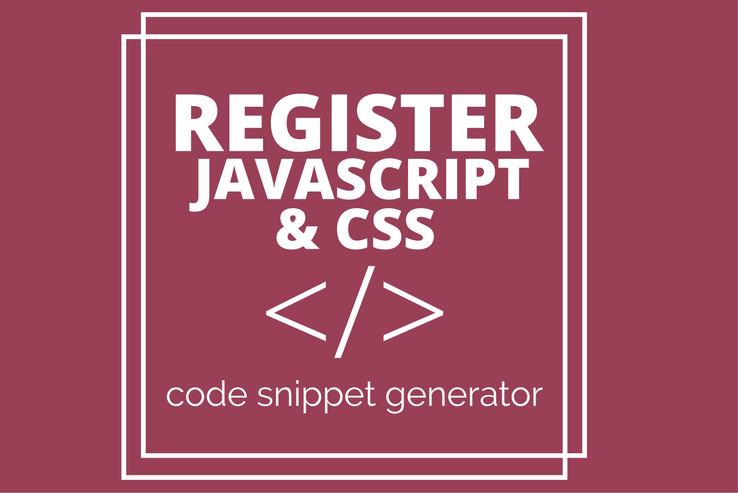 Read on to learn about the snippet generator and how to use it. If you’re developing a WordPress theme, one of the most important page elements you’ll need to implement is the comments layout. As it so happens, it’s also one of the most frustrating components to develop. Getting the style right is difficult, and messing it up is incredibly easy. The comments section of a website is a great place for readers to engage with one another and allows website owners to increase user interaction. 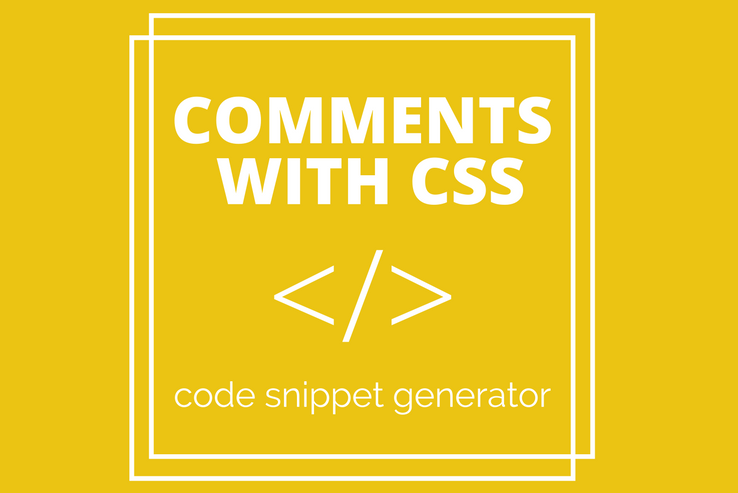 With this in mind, we’ve put together this simple yet powerful code snippet generator that helps developers add a responsive comments section to their WordPress themes. The core WordPress software has all the right features in place to deliver basic content management system functionality. Typically, when you need access to advanced features, you go looking for plugins since they are the best way to extend the basic functionality. From a coding standpoint, the main reason why WordPress can be extended in the first place has a lot to do with hooks. Hooks are a design pattern that allows developers to build upon existing code and are spread all over the source code. If you’re working on a WordPress plugin (or even a theme for that matter), you may want to make it easy for yourself or others to extend the existing functionality later on. Or you may just want to leverage WordPress’ event-driven architecture. 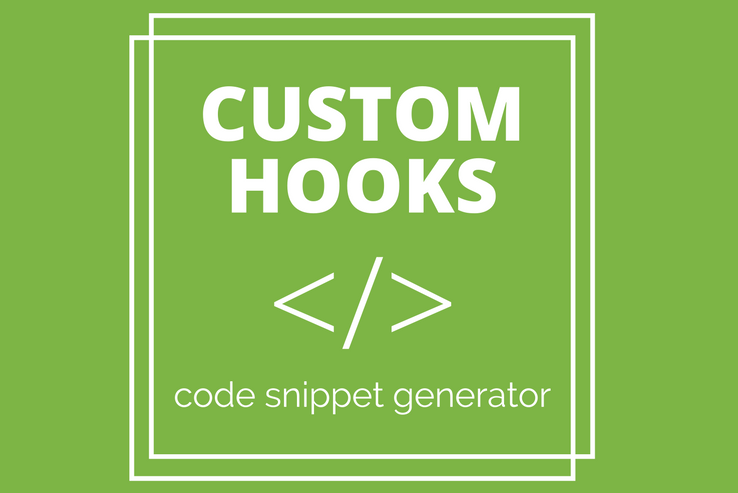 For this reason, we’ve assembled this code snippet generator that helps developers create custom hooks for their WordPress plugins or themes. Draft. Incomplete posts viewable by anyone who has correct permission. Pending. Posts that have been completed but are awaiting review from someone with publish capability to publish them. Publish. Viewable to everyone from the front-end. Future. These posts are set to be published in a future date. Private. Posts set as private are only viewable by administrators. Trash. These posts have been deleted (not permanently deleted) but are recoverable. Auto-Draft. Auto-drafts are post revisions that WordPress saves automatically while you’re writing them. Inherit. These are used with child posts to determine their actual status from the parent post associated with them. However, when you find your post drafts getting out of control, it may be time to add custom post status types to simplify your multi-step editorial workflow. 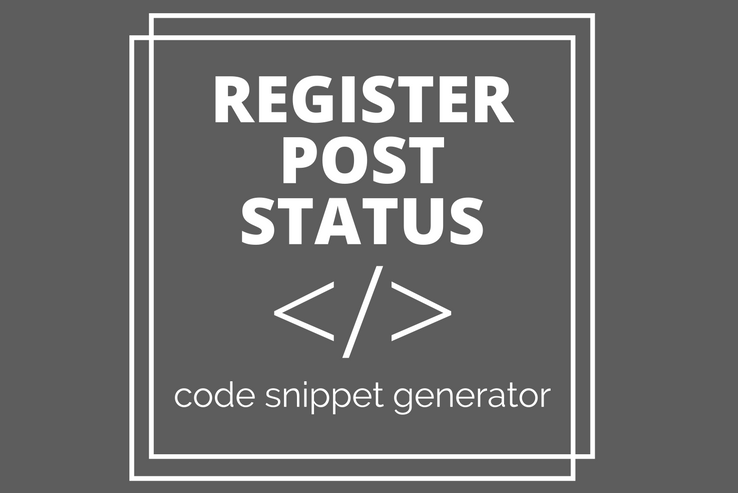 Since WordPress doesn’t allow you to integrate additional post statuses by default, we’ve put together a snippet generator that helps you register custom post statuses for your admin panel. Before we begin, let’s take a look at what post statuses are and why you may need a custom post status or two. Embedded in the WordPress feature set is a customizable menu that allows users to create default menus based on published pages and categories, thereby allowing them to create their own menu structure. However, there are times when you need something more robust than the default menu options. You may come across a great theme only to realize it doesn’t come with extra navigation menus right out of the box. Coding a menu structure that not only meets your usability requirements but also matches your theme can be a daunting task – especially if this is your first time with WordPress development. 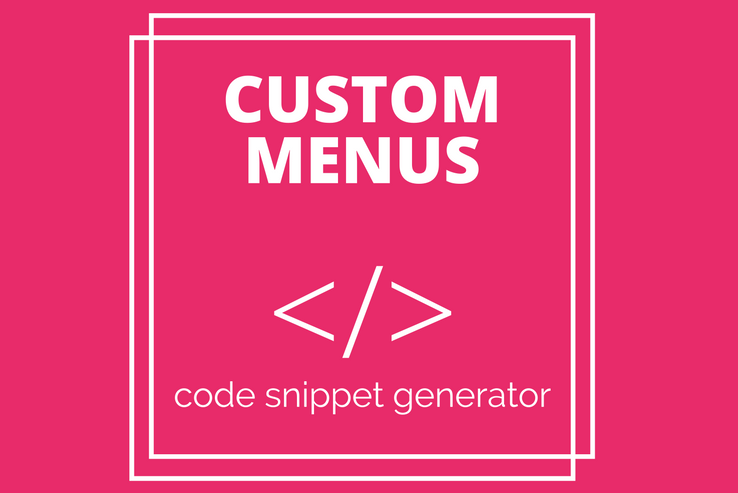 With this in mind, we’ve put together a snippet generator that helps you register custom menus for WordPress themes. Let’s put everything into context before we introduce the tool and explain how you can use it. 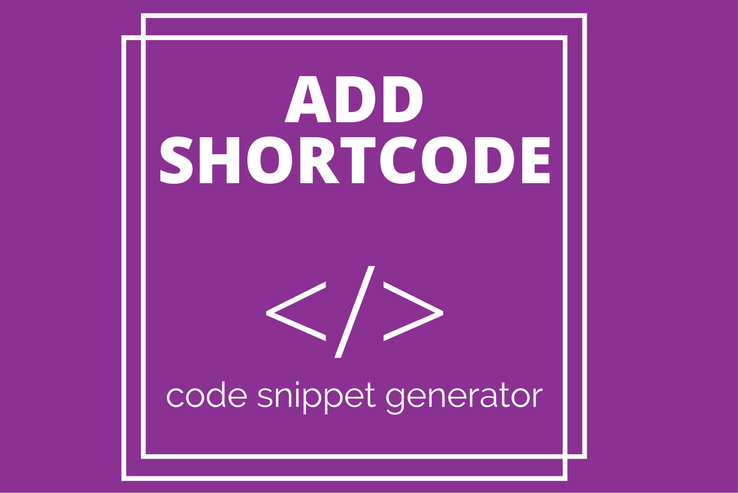 Shortcodes are a powerful tool bundled with the core WordPress application. They allow writers to type out a small string of text into the Text or Visual Editor to act as a placeholder for a larger text block or user interface feature. These small strings are then programmatically converted into the shortcode output when the page, post, or other public-facing content block is generated for display to the public-facing webpage. This snippet tool provides all the PHPcode and CSS style that you’ll need to implement a custom More link or button on your WordPress theme. The More feature in WordPress allows you to choose how much of your content to show on any blog feed or archive page that has this feature enabled. 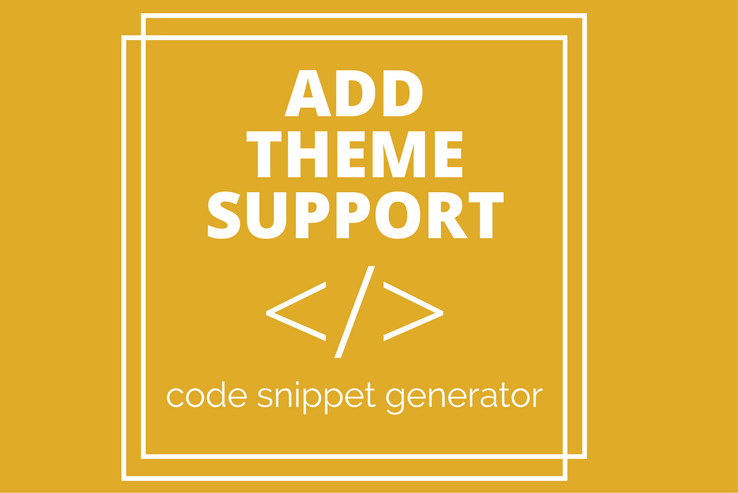 Instead of wading through lines of code when activating optional WordPress core functions like translation, custom backgrounds and logos, HTML5 integration, or post thumbnails, we’ve put together this handy add_theme_support WordPress snippet generator to do the heavy lifting for you. To use the tool, simply click “Support” on the feature you’d like activated, then fill out the relevant fields below the box to further customize the feature, when modifiers are available. When you’ve added everything you’d like, copy the code and paste it into the functions.php file. That’s all there is to it!